Our Connect The Dots business card design template will lead customers straight to your door when you use our online design tool to print custom business cards for your company. Available in five different color schemes to match your brand plus four unique edge finishes, Connect The Dots is a modern, fun, attention-getting business card that’s sure to stand out from your competitors. The front features your name and job title on a solid color bar, flanked top and bottom with your address and contact information. 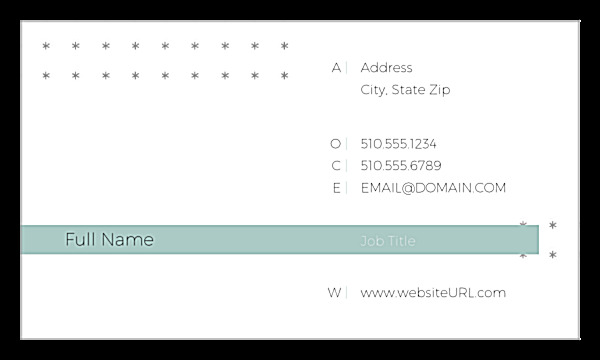 Two rows of stars light up the top-left corner, giving your business cards a distinctive look. 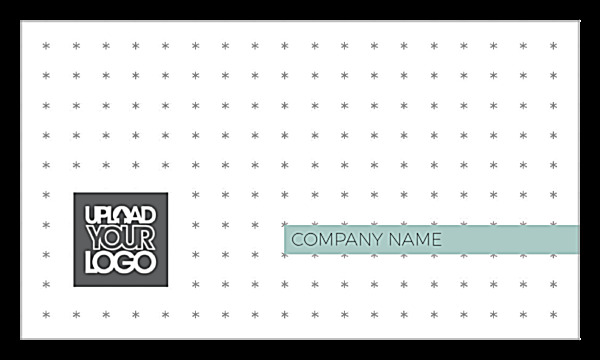 On the back, your logo and company name highlighted against a background star pattern. Customize your business card design now with our easy-to-use design tool, the fastest and easiest way to print professionally-looking personalized business cards! Our online business card maker lets you print custom business cards featuring your own name, company name, address, website URL, logo, and more – anything you want! All you have to do is select your template and color scheme from our design library, then let the intuitive interface guide you through customizing each text and design element. It’s so easy! When you’re done designing, you can even download a shareable PDF to enjoy before your business cards arrive. PsPrint offers unparalleled quality when it comes to business card printing. It’s the reason thousands of businesses trust us with their print marketing materials every day. From premium paper stocks and vibrant inks to high-quality printing and excellent value, you can expect only the best when you print business cards with PsPrint – guaranteed! Looking for custom business card printing options such as foil stamps and die-cut business cards? PsPrint’s friendly experts are here to help you get the business card of your dreams. Want to print marketing tools to match your branded business cards? We offer a full suite of print marketing materials, including letterhead, postcards, flyers, and more!